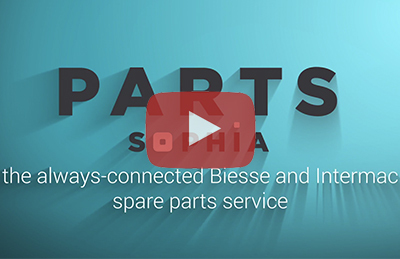 Discover Parts Sophia: The always-connected replacement parts service. The good old days weren’t always so good. 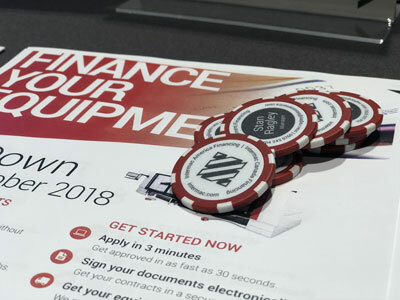 For decades, finding spare parts for the machines that keep your production process up-and-running could be time consuming and tedious. You often had to search for information in a myriad of catalogs, some of which could be out-of-date. If you needed to call for information, you could only connect during business hours. That was then. This is now. We’re at the dawn of the age of Parts Sophia, an interactive, easy-to-use, multi-lingual and multi-platform tool that’s at your fingertips to keep you connected 24 hours a day, 7 days a week. Parts Sophia is always wherever you are, ready to take your requests for quotes and orders, give you pricing, and verify whether a part you need is in stock. Introduced in Europe, exclusively for Biesse and Intermac customers in May 2017, Parts Sophia was unveiled to the North American market two months later. 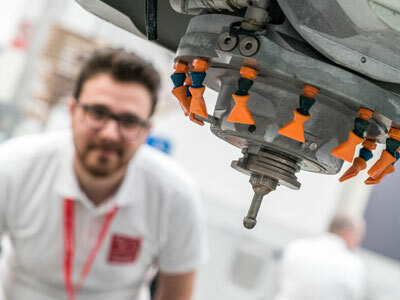 Parts Sophia has now celebrated its first birthday and has proved to be a welcome innovation. “It saves so much time spent ordering as well as checking the status of orders by removing the need to send emails and make phone calls,” Bell says. Another great benefit of Parts Sophia is the ability to create a recommended spare parts list based on Biesse’s experience. Users can consult this list and get information that was not readily available before, making it easy to determine what type of parts you should keep in stock. In July, Biesse and Intermac offered all US and Canadian customers incentive to try Parts Sophia. When you placed an order through the portal, you were rewarded with free ground shipment. 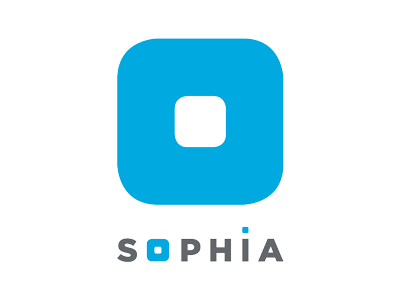 See for yourself how simple and easy it is to use Parts Sophia today. You’ll quickly discover that, thanks to such intuitive technology, these really are the good old days. For tech support, call or email Gregory Bell directly: 704-357-3131 ext. 1089. Gregory.Bell@biesseamerica.com.